In choosing Optimove as your Brisbane to Townsville Removalists, you will benefit from our extensive experience in the business of helping families and businesses move most easily and smoothly. Call our team now on 1300 400 874. Optimove Furniture Removalists Brisbane has decades of experience operating a furniture removals business in Sydney and is now providing the same level of service in South-East Queensland. 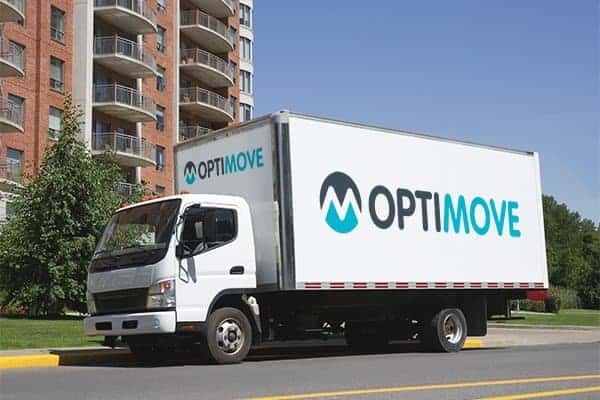 Surf the net, make some calls, you will find that Optimove provides the most cost-effective removalists costs for your relocation. We may not be the cheapest (then again we may…) but what we do is provide the highest level of service at the best possible rate. Please ask us about the backloading Brisbane to Townsville Availablity for a cost-effective removal. And most importantly, peace of mind. If there is anything else that you need, please contact us via our online form or give us a call 1300 400 874. We always suggest that customer obtain several quotes before choosing their removalists as this is a critical decision to make. Please, when you receive different quotes make sure that the prices given are like ours, that cover all costs and that there is no hidden fine print with additional charges. To obtain a quote from Optimove, probably the quickest way is to complete the Request A Call Back Form on this page or call us immediately on 1300 400 874. Moreover, you can expect the less hustle and bustle as you are moving from Australia’s 3rd largest city to the 13th largest urban area. The population of the Townsville region is only around 160,000 compared to that of Brisbane (1.875 million approximately). By moving to Townsville, you will gain 237 additional hours of Sunlight a year! Visit the famous Reef HQ Aquarium in Flinders Street in the City. Optimove, the experienced, professional Brisbane to Townsville Removalists that you can trust. I was very impressed with the respond speed when I was looking for a quote. Then every step after impressed me further with great service, easy communication, the boy’s hard work and professional manner!! I underestimated the amount of my stuff and the boys had to stay late a few hours to get my moving done. They worked around to accomodate my needs. Thank you so much!! I couldn’t flaw any step of the process! Well done guys! Also well done the business on training staff. Great experience! Would give these guys more than 5 stars if I could! I've now used them twice in a couple weeks to move my stuff into storage and then to my new place and they've gone beyond my expectations both times. Great price, great service from start to finish, very quick but also very safe. Couldn't believe the strength of TJ today and the guys' ability to get everything up 2 flights of stairs with minimal fuss. Will be using and recommending Optimove for every move in the future. Cheers! Like others, I chose Optimove due to the many 5 star reviews and now it’s my turn to add another one. I was initially hesitant about using a hourly rate service with the fear of time wasting for additional charge. This was not the case with Optimove. I was assigned TJ and Izzy for my move and these two guys were absolute machines. They did not stop for a second and in fact, they even at times very politely hurried me along (but still listened attentively) when I was giving them instructions so that they could get the work done in my required timeframe and not have to charge me extra. The best removalists I have ever dealt with. Teejay and Izzy packed everything up so carefully. Plastic wrap and fully protected. They packed up and delivered with no damage and they were so careful moving things in. Moved a couple of months ago with Optimove and couldn't be happier with their service. Daniel and Brian were fantastic. The guys had to move all of our stuff up 4 flights of stairs as our new apartment doesn't have a lift, and they didn't skip a beat. I was exhausted after going up and down the stairs a couple of times, these guys were doing it for hours and barely needed to rest. Will definitely be using Optimove for my next move, thanks guys! Our move was the easiest ever with optimove . Our two Removalists were Nella and Marc. We we get were very satisfied with their efficiency and care. We moved from Toowoomba to Brisbane . It was estimated to take 8 hours , they did it in 6 hours . All our furniture was wrapped and it arrived without even a scratch. Regarding the cost, offered a reasonably average hourly rate. But what mattered most to us , was the safe delivery of our items. We have moved many times over the past 16 years, and have always used large well-known companies. We were a bit concerned, based on how little the quote was and the fact they were new and we’d never heard of them, but we needn’t have worried. From our first communication, they were professional and quick to reply. Special mention to our removalists, Daniel, Chris, Assad and Sam (we had two deliveries due to the amount of furniture and boxes) - they were all lovely guys, friendly, hard working, and had the truck packed in record time. This is the first time we used professional removalists and I will never go back! From the first phone call to the hand shake after, the team that moved us were professional, timely, communicative and extremely friendly. They thought about the easiest way of removing and transporting our items to our new home and I honestly could not recommend them highly enough. I will be referring them to all of my friends and family and they'll be the only people I trust with my next move. 10/10 will use again! :) Great job guys!! The original price quoted was $65/ per half hour/ min 2 hours and when we booked our move for 5am, we were charged an extra $22 per half hour (which was fine for the early wake up) but then we had to book a minimum 4 hours! At first I misread and thought it was $87 per hour which I thought was awesome compared to what I was quoted, but my bad - I didn’t read it properly. In comparison to pricing, Mini Movers were not going to charge extra for out of hours and were cheaper per hour. We only used 3 hours in the end and the price quoted is not inclusive of GST. The boys from OptiMove were absolutely amazing. The team who scheduled our move were friendly and understanding. Our removalists, TJ and Brian were machines. They packed all of our goods with impeccable care and didn't take any shortcuts. They were fast, efficient, friendly and just down right good blokes. The boys covered all of our furniture in shrink wrap and nothing at all was marked. The whole optimove experience was amazing. They charge less than the competitors and provide A+++ class service. We would absolutely use them again! Cheers guys! I'm so happy with the hassle free move and will definitely use them in future.